ECMOR has been installing optical Fiber for over a decode. Our technicians have acquired great expertise in the infrastructural installations, sometimes in the air and even underground. 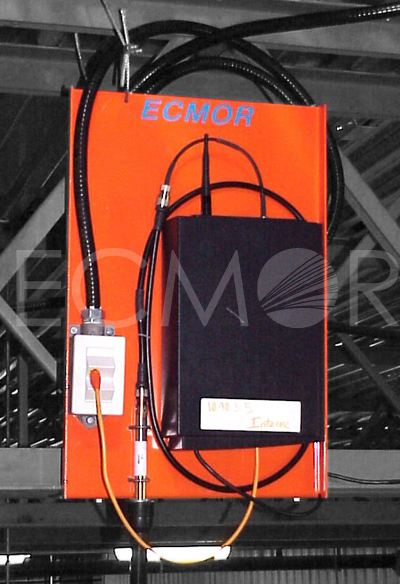 ECMOR has also developed its own means of protection to secure the optical fiber. While respecting the radius of curvature. 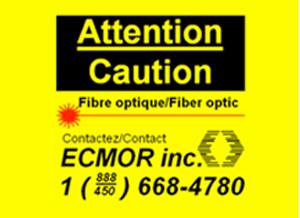 Our rings are adequate to drive the optical fiber inside a protective metal housing itself identified by our own Yellow colored labeling. 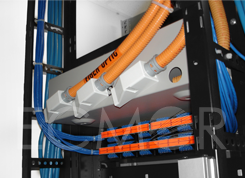 We also identify the cables by directly affixing an orange label. 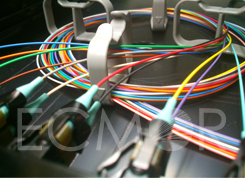 ECMOR, partner Belden / CDT and Corning, installs the latest techniques in fiber to the delight of our customers who are highly concerned about the security of their network. 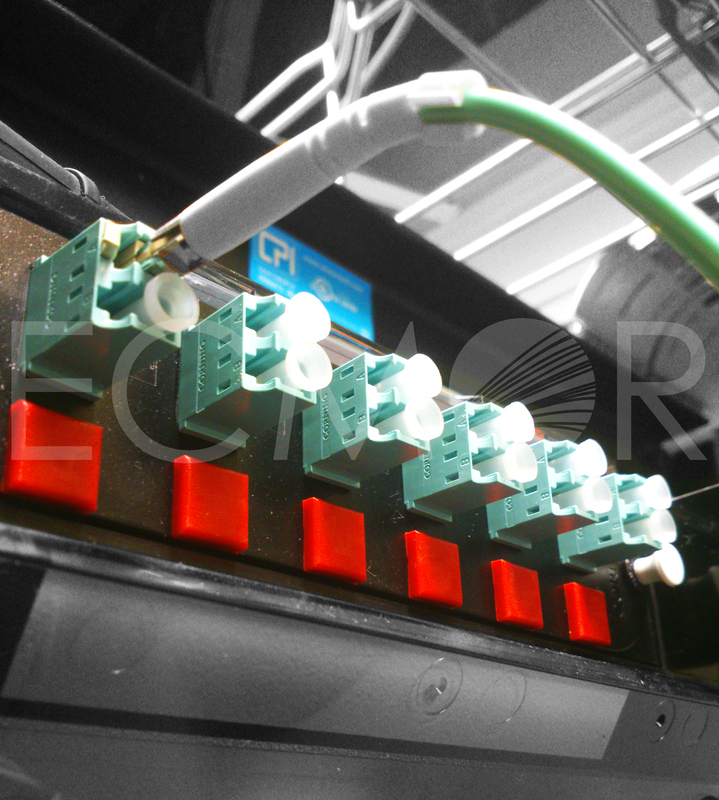 Our technicians are trained to keep pace with changing technologies and have tools to do their work conscientiously. 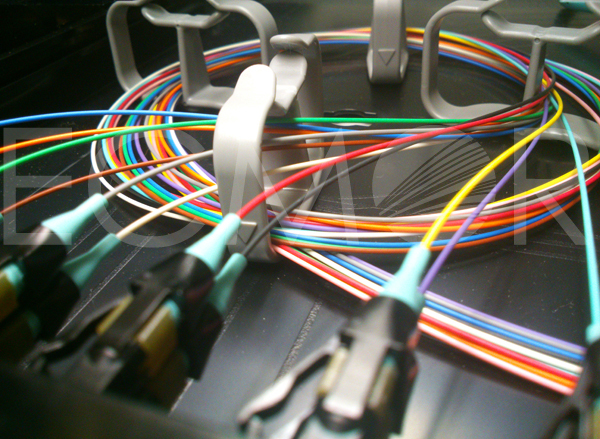 Because the optical fiber is sometimes capricious, our technicians are committed to deliver only the best quality and are not satisfied to simply meet industry standards, they exceed them. 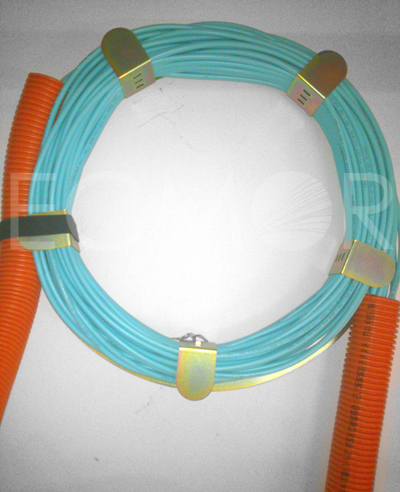 When distance or speed becomes a major concern, the installation of an optical fiber is necessary. 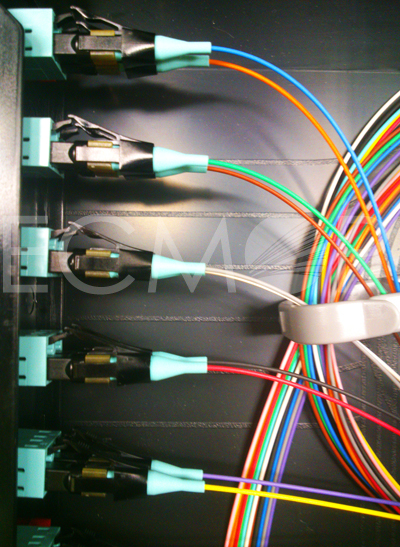 Our technicians are trained to keep up with the changes in technology and because the optical fiber is sometimes capricious, we are committed to deliver only the best quality. We study your site to favor the best possible locations. 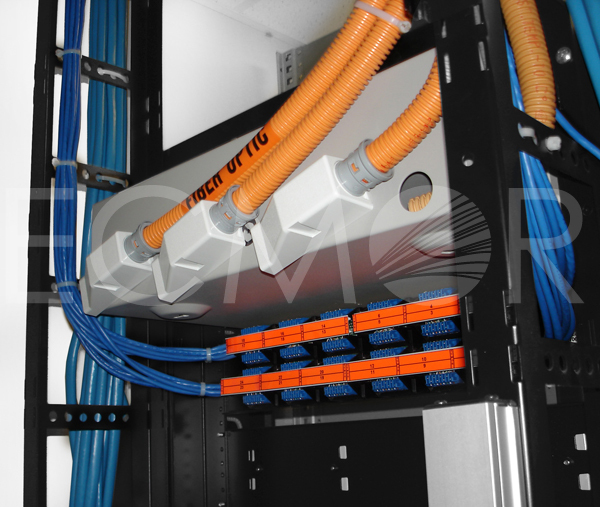 We offer practical means of protection for your fiber optic installation.